Otto Preminger day may be late (and it may be halved by another review later today), but his movies are always worth it in the long run. Laura is a stylish, moody film noir that folds in incredible characters and acting to make a legitimately perfect movie. Combining elements of the romantic, the melodramatic, and the noir, the movie holds something for everyone and you’ll be as consumed by the title character as the rest of the cast. Have I mentioned how much I adore this film? Detective Mark McPherson (Dana Andrews) is responsible for solving the murder of Laura Hunt (Gene Tierney). 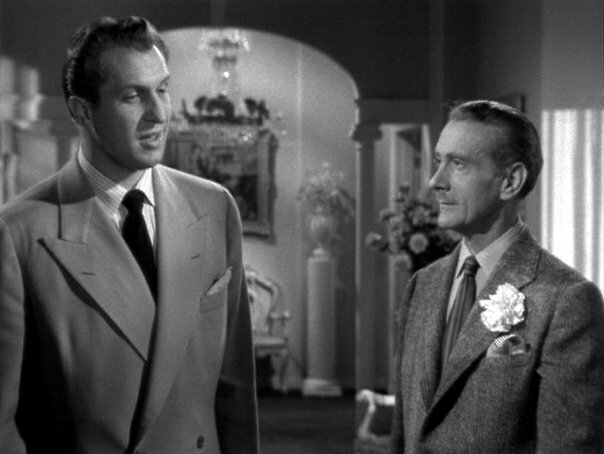 As Mark investigates, he meets Laura’s closest friend, Waldo Lydecker (Clifton Webb) who recounts the tale of Laura’s life and the various people who would wish her dead. When Laura mysterious returns, the question turns into who was truly killed and who is the murderer? Laura is a decadent tale of corrupt people and their overbearing obsession with one woman. The principle theme involves the various men in Laura’s life who all cast her in a particular role they wish she’ll fill. The one with the most fascinating intentions is Clifton Webb’s Waldo. 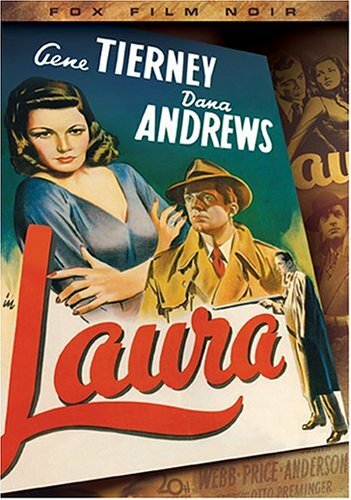 Webb marked his return to feature films with Laura after doing silent pictures. In a way, his narration is almost ironic; a man who worked in films without using his voice narrates a sound picture in his return. He’s the one whose intentions are insidious where Laura’s involved. His house is a shrine, filled with precious knick-knacks in glass cases. Waldo is the first one to open up about Laura to Mark, and from there you start to question everything the movie lays out for you (a mark of a Preminger film). Waldo, who originally told McPherson that he knew nothing of Laura’s murder or life, proclaims that he was “the only one who knew her.” From there, the audience sees Laura as Waldo does (for all the various male viewpoints we get about her, we never see Laura’s). The only insight given into Laura’s thoughts and feelings is through a third-party who envisions her as ambitious, independent and assertive; Waldo in female form. There are brief moments where you believe the flashback is Waldo’s dream; particularly when he walks into Laura’s office for the first time. Everyone in the room looks at him adoringly, and he beckons the boy in front to “Announce me.” Webb is perfect at conveying the overall ambiguous tone inherent in Lydecker. The character has some homosexual tendencies especially in the opening sequence where Waldo is in the bath and has no issue standing up and exposing himself to Mark. From there you question whether he’s obsessed with Laura, or jealous of Laura’s growing affection to Mark. All the men in the film see Laura differently; all want to possess different elements. Waldo envisions her as a precious object to hang on his wall (the portrait of Laura is the icon of the film); the item that Waldo dreams of trapping in her own glass case. Mark hopes to be different, and he is at the start. Dana Andrews always surprises me, and he’s a complex detective; a role he would reprise, albeit not quite as good, in Where the Sidewalk Ends (also with Tierney). Upon seeing Laura’s portrait for the first time he states “It’s not bad.” His investigation, and mounting obsession, starts turning into dark corners once he’s chastised for “pawing” over Laura’s things even though Waldo and Laura’s aunt (Judith Anderson) are already dividing up the household. Laura is unattainable to Mark, a point painfully reiterated to him by Waldo at every turn. Mark eventually becomes a stalker (if Laura wasn’t dead…for the moment), sniffing her perfume and becoming visibly excited by everything. However, his intentions are just as dark as Waldo’s. Mark wants Laura to be the silent, immortally beautiful woman of the portrait; she’s the ultimate wife to a man who simply sees women as “dames.” You’re meant to believe Mark is disturbing, and again Waldo doesn’t help: “I don’t think they’ve ever had a patient who fell in love with a corpse.” If Andrews didn’t remain engaging, his actions in the film’s second half would be even more unconventional; he arrests Laura in order to ask her if he stands a chance in the dating game! The final man in the group is Shelby Carpenter, played delightfully by Vincent Price. 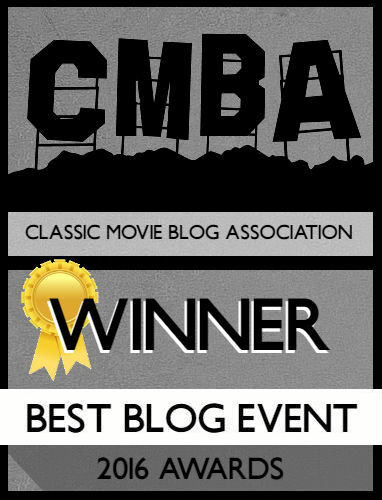 Laura was the film that had me reevaluate Price, having strictly followed his horror work. Waldo calls Shelby “a male beauty in distress” and that’s true; he wants Laura to be a mother to him (and possibly a source of income). You can’t deny though that Price is an impressive cad who reads his lines with panache: “I can afford a blemish on my character, but not my clothes.” Carpenter also appears to be the only character with his finger on the pulse. 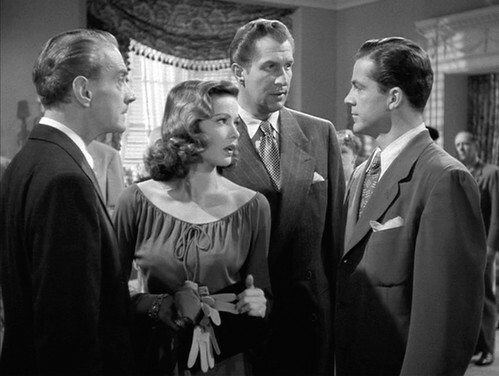 During the climax when all the suspects are brought together, a typical noir turn, Shelby asks whether Mark “can weave all the loose ends into a noose.” Does he know he’s in a film noir already? Judith Anderson is good as Anne, but there’s not nearly enough of the her. The best part is when Waldo goes to her interrogation and jumps into Anne’s testimony in order to show her up as a liar. Which leads us to the woman whose name the title is based on. For a character so integral to the plot, she isn’t integral in it till the second half. 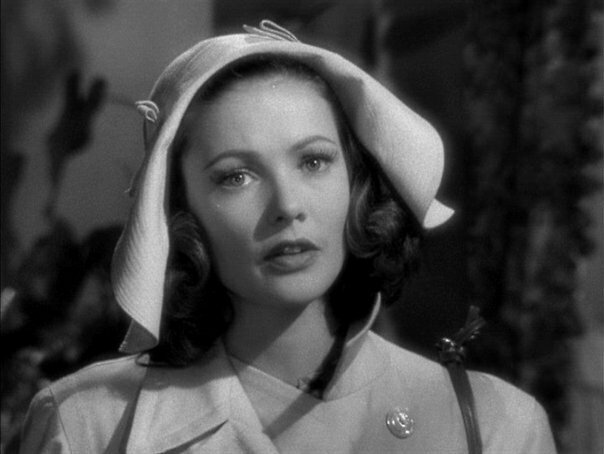 Gene Tierney is exquisite, and it’s easy to believe that “Wherever we went, she stood out.” She’s almost painted into existence – like the portrait that hangs in her house. It helps that the excellent costume design allows Laura to be all things to all people: Elegant, simple, romantic, feminine, and complimentary. You are left to wonder whether her return to the film is entirely realistic. Is she dreamed up by Mark; another dream woman for the men to obsess over? It makes sense taking into account that Mark originally wants Laura to stay in her apartment and stay away from the phone, leaving her a ghost trapped in her house forever. Laura is an incredible movie that you’ll instantly want to rewatch. It recently got a Blu-ray release which is fantastic. It does include an “Extended Version” that didn’t feel any different but who cares. A phenomenal film with exquisite dialogue and remarkable performances. I have never contemplated th Laura as ghost angle. 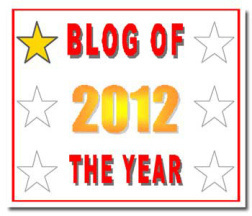 Thanks for a terrific and insightful review of one of my favorite films. Haha, glad I could give you a new way of looking at it!